As a charity marketer, you’re probably used to bootstrapping to make your budget go further. With limited cashflow from trading income, government grants and donations, it’s important you know how to run a successful but thrifty inbound marketing campaign. Only then can you maximise your return on investment. Whatever the cause of your charity or nonprofit organisation, whether it’s health, the environment, education, culture, humanitarian aid or animals you’re campaigning for, there are several ways you can make sure you get the most bang for your buck. As a registered charity in the UK, you are eligible for Google Grants. This is essentially AdWords for nonprofit organisations, and gives you access to $10,000 to spend on PPC advertising every month. The sign-up process is simple, and it usually takes around 3 to 4 months to get approved. Once your charity has been approved, you can begin to set up your AdWords account, select relevant keywords and create your ads. Make it obvious in your ad what action you want people to take, whether that’s signing up to become a volunteer, donating funds or items, or downloading a piece of content. Your account and ads will then be vetted, as Google is strict on it’s rule that ads must “reflect the mission of your organisation and your keywords must be relevant to your programmes and services”. Once this is done, after around six weeks, you’re good to go. Monitor your ads’ performance using Google Analytics, and refine keywords and ad copy accordingly. By optimising your ad settings, you can truly make the most of your Google grant. Owing to their popularity and sometimes quite specific target audiences, YouTube personalities can make very influential evangelists for your charity or nonprofit organisation. If yours is a mission or cause they believe in, they may decide to waive their fees. A great example of a charity that used influencer marketing to great effect is domestic violence charity Refuge, who worked with popular YouTube makeup artist Lauren Luke to create this video about how to cover facial cuts and bruises. Her large reach and relevant target audience made this a very successful marketing hack for Refuge. Another example is the Department of Health’s Awkward Conversations Project, which features videos co-created with famous YouTubers about embarrassing or difficult issues. The videos gained nearly 4 million views in total. As a nonprofit, you can apply to produce your video campaigns at your local YouTube Space, provided you meet their criteria. Email is one of the most effective inbound marketing channels there is, which is great news because an email marketing campaign also costs relatively little to execute. First, decide on an objective for your email campaign. Is it to raise funds, get people involved with a project or simply spread the word about something you’ve done, in order to raise awareness? Set yourself targets e.g. for conversions, or money raised. Then, using an email marketing service such as MailChimp, set up your campaign. Bear in mind email marketing best practices (link to our post) when laying out your email, deciding on content and writing your subject line and copy. Engaging emails that give people a reason to act see the highest conversion rates. Include a prominent call-to-action in your email, to make it obvious to people what action they should take. Monitor your click-to-open rate by dividing unique clickthroughs by unique opens, and continue to learn from your data with every email campaign you run. Make a list of bloggers who likely reach your target audience and contact them to let them know about your charity and why it matters to the people that read their blog. By building relationships and collaborating with blogger influencers, you can reach more of the right people with your message. If you're running a social media hashtag campaign, you could ask them to promote it by writing a blog post about it and encouraging their readers to get involved on Twitter or Instagram. You could also drive traffic to your website by asking them to link back to it. Remember to track your campaign by looking at your referral websites and monitoring the hashtag on Twitter and Instagram. You could even retweet the best posts or collect them to showcase on your own blog. Obviously, you can and should invest in their marketing by running ads and sponsored updates on social media and hiring designers and writers, if your charity has enough budget. 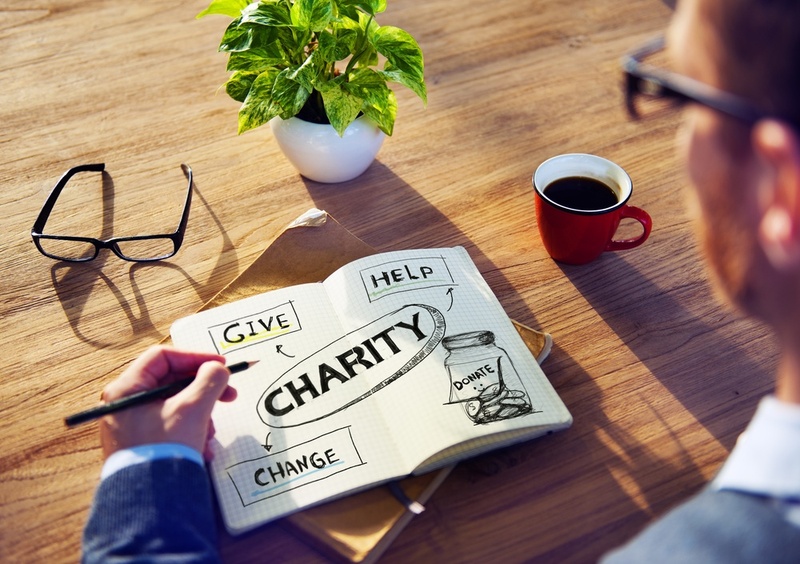 These are simply a few low cost ideas for charities, to allow you to spread the word about your mission on a shoestring. Try these marketing hacks as part of your own inbound marketing strategy, and see what works for you!